In cooperation with the City of Stuttgart and other partners, SI focuses on upgrading the Stuttgart Neckar Valley. No one would possibly think of Stuttgart as a river city. But the change has begun. Of this change, there are several proofs: the planning document “Erlebnisraum Neckar – ein Masterplan für Stuttgart als Stadt am Fluss”, the landscape architectural competition for the “Neckarknie” area as well as the interdisciplinary research project WECHSEL (2017-2019). This project is based on the structural change initiated by technical progress and the “Energiewende”. In cooperation with the City of Stuttgart and other partners, SI focuses on upgrading the Stuttgart Neckar Valley. The Stuttgart Neckar Valley cityscape is dominated by the clash of scales between industry, infrastructure, and historic urban fabrics. This is particularly true for the area south of the Neckarknie, where the river canal runs straight and soil sealing is remarkably high. By contrast, in the northern part, the Neckar meanders gently with steep slopes, some covered with vineyards. 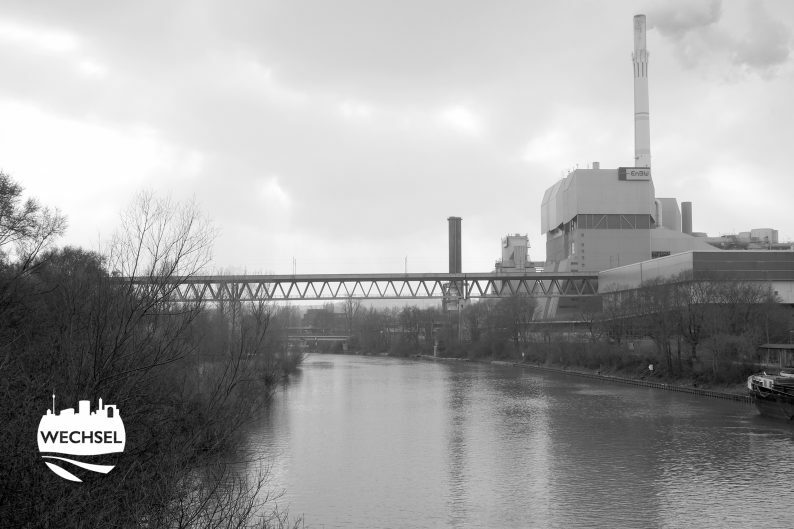 All the same, there are quite a few “Zwischenstadt / In-between-city”-areas, such as the waste-to-energy plant in Münster or the business park in Mühlhausen. Our practical project will focus on such areas. Together with ILPÖ we kindly invite you to contribute to a public participation workshop, and to design scenarios for liveable urban quarters based on sustainable energy concepts. What is more, we would like you to train writing as a further design tool. Your projects will be co-valued by guest critics and considered within the framework of WECHSEL.